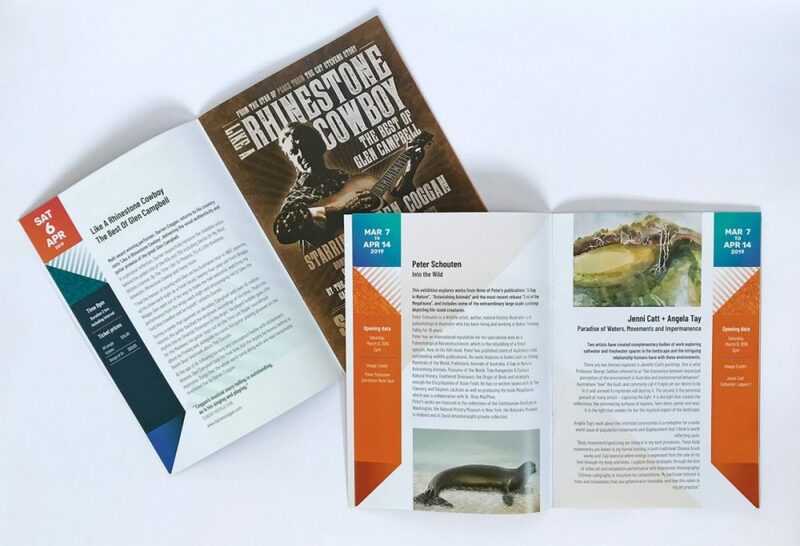 In a joint project, both the Manning Entertainment Centre and the Manning Regional Gallery wanted to combine their events for the first half the 2019 season into one publication. Each were to take one half of the brochure each, with a cover at either end. The brief was to create something that reflected their creativity in a bold and colourful way. 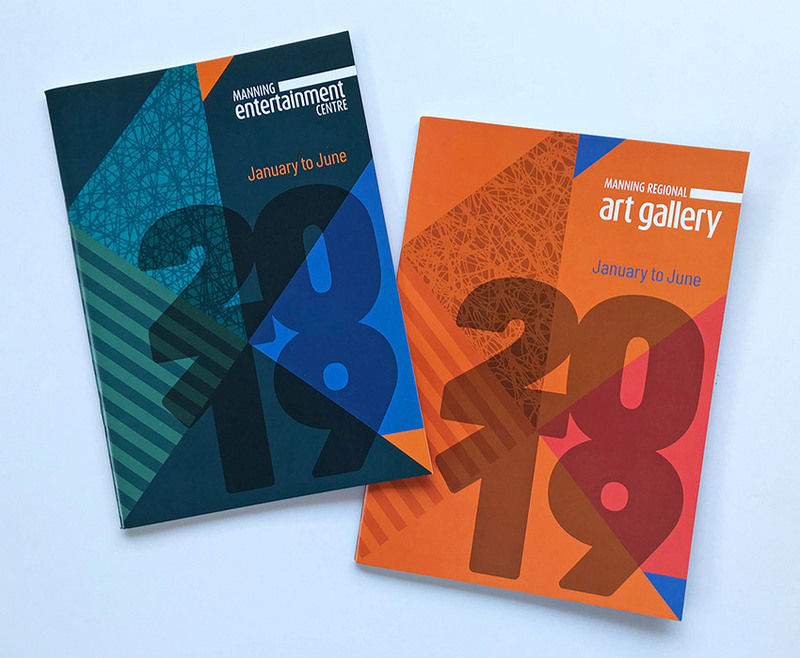 The brochures used opposite colours – orange and blue – to clearly differentiate the two entities. Due to the recent 30th anniversary celebrations, there was a subtle nod to the 80s in the design. Triangles were used to create strong shapes and interest. 2019 was used boldly on the covers for additional impact.